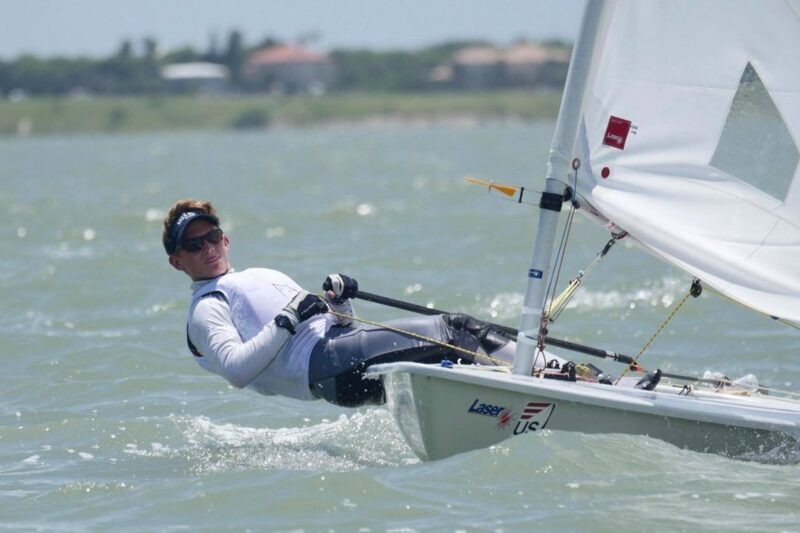 GCYSA Laser Radial sailor, Ricky Welch, tells us about his first summer with the team and what he is looking forward to this Fall. Ricky is already back at school. Unfortunately, this means less sailing for Ricky, but he is working hard in the gym and getting out on the water most weekends. Thank you for the great article Ricky! In the time leading up to summer I spent four to five days a week in the gym doing a lot of endurance work. I maintained a healthy diet to be at the top of my game mentally and physically. When I was not with the team, I spent my weekends sailing to fine tune my skills. My first event was more of a test before Youth Champs. Although I placed 4th at the Gulf Coast Championship and not where I would have liked, I had to trust the process going into Youth Champs. This year’s Youth Champs was a challenging one. We did not have the normal Corpus Christi conditions. It was stormy with shifty 5-15 knots of breeze. If I was not locked in and focused it would have been a tough week, but I believe I executed the mental side of sailing exceptionally well. Finishing on the podium left me feeling pleased with my performance and provided the confidence boost needed for the US Nationals. After Corpus Christi, it was back to training for the US Nationals in Lake Tahoe. I spent five days sailing in Newport, Rhode Island with sailors from GCYSA and the ODP team. Everyone made significant improvements during this week of training. The flight to Tahoe with my team was a great experience, and we were able to make time fly by without even using our cell phones. Lake Tahoe brought some challenging conditions. After the first day, I was in 29th overall and I was not happy with my performance. However, with each race I was able to overcome my discouragement from the first one and place 5th overall. Thank you, Rosie, for all of your support. I was able to make numerous improvements this summer. As for this Fall and coming Spring, I have big goals I want to achieve. My main goal is to qualify for the ISAF Youth Worlds. Once this goal is reached, the next step is to train even harder with hopes to bring a medal home.